I had a bit of a dilemma. Before departing for Thailand I had noticed my local dentist closed down. 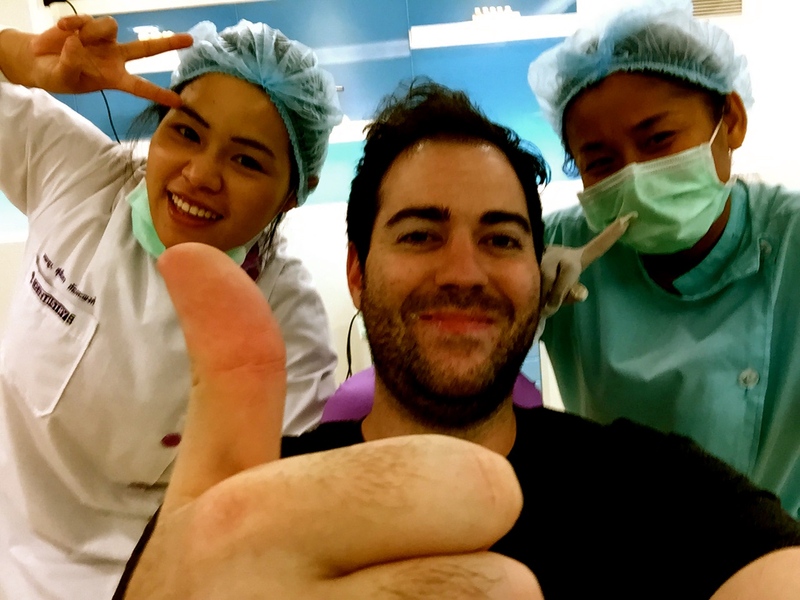 Without any time remaining to register for a new dental practice in the UK I opted to skip it and try my luck with a Thailand dental surgery instead. I have to admit I was a little scared. I’m very picky when it comes to my teeth, I’m happy going to the same place I’ve always gone to as I know nothing will go wrong. In this situation, I had no choice and had to go with it, well, I thought I might as well make a blog and check out the service/price compared to Europe. Just like 10 years ago when I plucked up the courage to get my hair cut at another barber shop, I had to just accept my fate and embrace change. I can’t keep on going back to the UK every year just because I like the place that cleans my teeth right? That is a little silly. So I grew some balls and walked into a Thailand dental surgery to inquire about a booking. 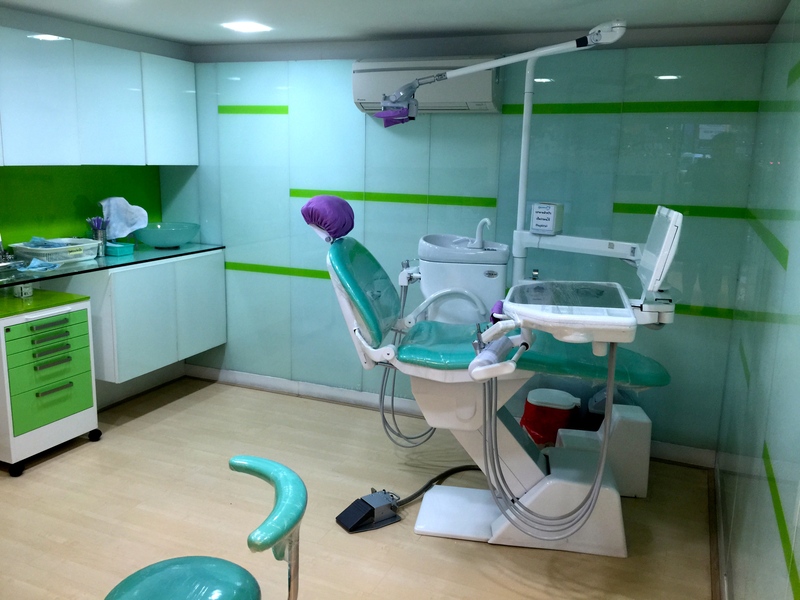 I decided to go to Chiang Mai Nemman Dental surgery just along Newman Road, It looked modern, clean, had a perfect location close to my apartment and come along with raving reviews from a Digital nomad Facebook group I’m a member of. with all the positive’s what was stopping me? Once I walked in I asked if it would be possible to book an appointment, the Thai receptionist asked when I was free, I said any time and she said how about now? Wow! Direct service, ready to go, I remember my dentist in London had a 3 week waiting list and here I was ready to go. Already a good start. I asked how much a basic clean was and it turned out to be 600 Thai Baht, which is roughly around £12. If you wanted this kind of work done in the UK on the NHS it would cost you £50.50 and if you happen to not be registered with a dental surgery and need to go private this can be even more expensive. I’ve heard of dental tourism in locations such as Hungary But trying it out in Thailand sounded interested. But I was still worried, how will the equipment be? 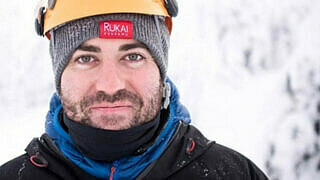 What happens if my teeth get messed up, are the staff well trained? All these thoughts where going around my head because it was so cheap. It was scary, but I had to try it out. Once I signed the form, agreed to the price, I proceded to the waiting area. The staff then approached me very politely (Thai people are so friendly!) and informed me the dentist was ready to see me, I walked into the room and spotted instantly that the facilities were better than my dentist back home in the UK! I also noticed the dentists University degree on the wall and the tools all looked well maintained and my fear started to slip away. The staff were very polite, Spoke fantastic English which was reassuring and I understood all the Dentist terms she was explaining to me whilst I had my examination. The examination was actually free, if you didn’t need any work then you don’t have to pay a thing, nice touch I thought which would have cost you £18.50 with the NHS. However I did need a clean and they proceeded to get to work on my teeth. After we cracked a few jokes (Thai people are awesome), she laughed and continued to play Brittany spears in the background om her radio whilst her assistant attempted to sing along. Confused if this was a Dentist or a karaoke bar I reclined in my chair and they got to work. Why was this dentist visit going so well? I hate dentists and I’m laughing and having fun, surely this wasn’t going to plan, but it was, Thailand always makes everything more fun! I found the singing rather enjoyable, which was way better than my dentist back home who always proceededs to tell me his boring life story that I’ve heard many times, I think he does this to purposely make me go to sleep. Fantastic service, great price, would go again! After some work and some polishing, I’m Extremely happy with the results, not only did I save myself some travel money, it was a top notch service that I would happily do again. 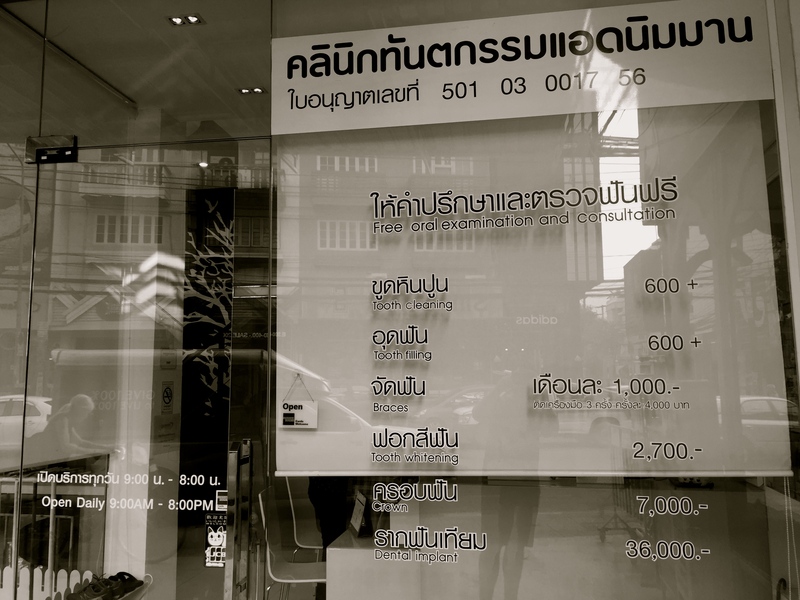 After 5 minutes my fear of what a Thailand dental surgery was, disappeared. It can be confusing to find a reliable western friendly dentistry clinic in Thailand, That’s why I like to look and search on Medigo who offer a wide selection of Thai dental practices around Thailand in many locations with endless photos and reviews, so you can choose one that best suits you, easy and simple to use. Travelling really does save you a lot of money, if you can make the most out of products and services that are cheaper abroad compared to back home, Happy Days!